Darrell graduated from the University of Minnesota with a Bachelor of Science degree in Technical Communications. After 12 years in Corporate Communications with Deluxe Corporation, he worked in similar capacities with McKesson Healthcare Solutions and Pentair/Hoffman Enclosures. In 2002, Darrell started his own investment advisory firm, with an office in White Bear Lake, MN. 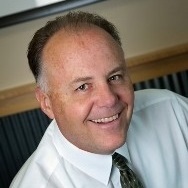 In 2007, he became a business partner of Greg Hanson, founder of Custom Financial Solutions, Stillwater MN. Darrell lives in White Bear Lake, MN with his wife. They have two children with families of their own, including seven grandchildren. His interests include travel, church activities, community service, and many outdoor hobbies.